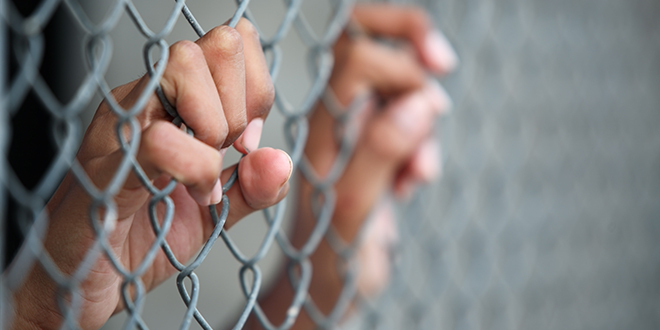 CONSECUTIVE Queensland governments have ignored evidence that the prison system is not working – and the community is at increased risk because of it. That’s the opinion of Catholic Prison Ministry coordinator Dave Martin after many years intensive experience with Queensland’s prison system. “Prisons are purportedly used for punishment, as a deterrent; to protect the community, and to rehabilitate,” he said. “The reality is prisons are used as a form of revenge or retribution. Mr Martin said, far from attempting to improve the prison system, governments have chosen instead a law and order “tough on crime” contest. And he believes recent State Government changes to the prison system are going to cause further problems including severe overcrowding and longer incarceration terms. “Changes such as the laws surrounding bikie gangs, removal of diversionary courts such as Murri Court, Drug Courts and Special Circumstances Court are only adding to existing problems,” he said. The cost to the community to keep a person in prison is around $70,000 per year, Mr Martin said. “Since early 2012 the Queensland prison population, once at a static level of 5500 for a number of years, has now increased by 15 per cent,” he said. “This has seen prison costs rise by $60 million a year. Operating within Centacare, Catholic Prison Ministry offers a range of services to prisoners and their families throughout Queensland. Programs including the Prisoner and Family Support Program, Reintegration Support Program, Liferaft support group for families of prisoners and Court Support provide frontline support and assistance to people in contact with the prison system. Advocacy is another key service and can include law reform submissions, media releases, engaging with social justice groups, using social media and regular visits to prisons across Queensland. There are many reasons why people end up in prison including mental health issues, poor education and drug or alcohol addiction. Racism is also a significant factor, Mr Martin said. About 31 per cent of Queensland prisoners are Aboriginal and/or Islander when they represent only about three per cent of the population. 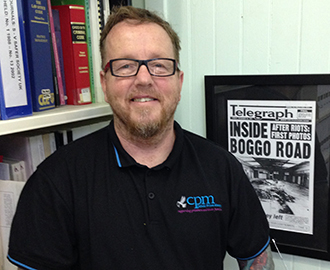 Challenging ministry: Catholic Prison Ministry co-ordinator Dave Martin is concerned at worsening conditions in the state’s prisons. Inadequate levels of support once prisoners are released are also an ongoing cause of concern. A recent University of Queensland report into Queensland post-release services highlighted the extent of the problem. The report found that 60 per cent of respondents did not receive any support after their release and 45 per cent had no communication with their caseworker once they were released. It also found 31 per cent heard from their worker once and 71 per cent had not been given assistance finding accommodation. “It’s imperative ex-prisoners get help with accommodation, Centrelink, banking, gaining identification, clothing and transport on the day of release,” Mr Martin said. Lack of rehabilitation for those in prison presents a significant problem for community safety. “In Queensland prisons, programs are currently only available to prisoners serving over two years, and only then at the end of a prisoner’s sentence,” he said. “A prisoner serving a life sentence with parole eligibility after 15 years will only be able to start programs in year 12 or 13 of his or her sentence. more assistance for ex-prisoners to get help with accommodation, Centrelink, banking, gaining identification, clothing and transport on the day of release. “Only a fraction of government funding is allocated to a prisoner’s needs with many receiving only a token amount of remuneration of around $15 per week,” he said. “This amount has barely increased since 1992 and is expected to cover phone calls home, underwear, toiletries, shoes and any health foods or other needs. Mr Martin said the Catholic Prison Ministry would continue to play an important part in the rehabilitation of prisoners. “Prisoners and their families experience numerous stressors during their contact with the prison system,” he said. “Without services such as Catholic Prison Ministry the impacts of the prison system would be significantly increased and its effects seen not only on the individual prisoners but within the broader community”. A spokeswoman for Queensland Corrective Services said prisoner numbers were managed on a state-wide basis and fluctuated over time, driven by a variety of factors, including crime rates, sentencing practices, parole board decisions and parole breaches. “To efficiently manage these fluctuations, all Queensland prisons have the ability to employ a short-term ‘surge capacity’ strategy. This includes double-up placements in cells and the use of temporary beds,” the spokeswoman said. “Double-up placements are subject to comprehensive guidelines. She said all offenders released from Queensland Corrective Services custody were managed until the expiration of any supervision order that they were subject to. “Following their parole, offenders receive a full induction about their order by case management staff in Probation and Parole. Theyare each assessed in relation to their risk of re-offending probability which consequently determines the level of supervision and support service provided,” she said. “The level of supervision and support service given to an offender can be escalated at any time should circumstances increase their risk or likelihood of reoffending.